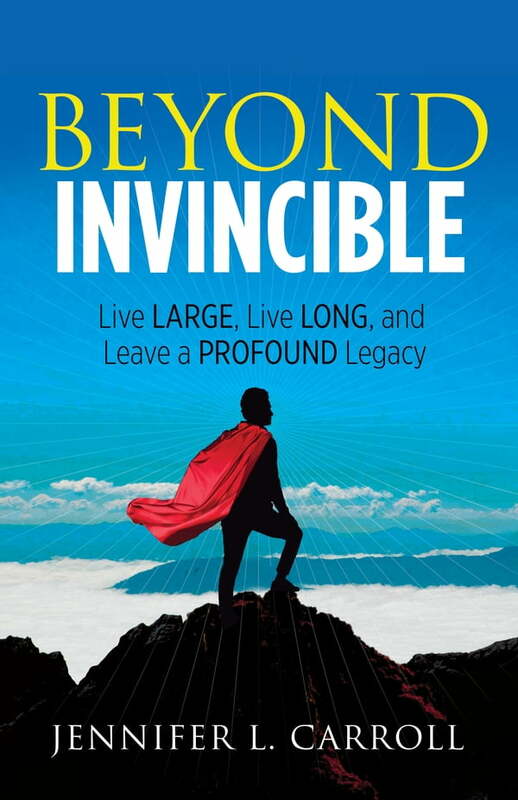 Beyond Invincible urges Alpha Entrepreneurs to live larger and longer with abundant success and leave a profound legacy of significance. This is the story of Phil—a rock star entrepreneur whose life was tragically cut short because he thought he was invincible. Jennifer shares the true story about her rock-star entrepreneur husband of 22 years, who built a multimillion-dollar houseboating business by 25 years old, married the love of his life, traveled to nearly 50 countries, ran numerous triathlons, raised two children, and had an unstoppable spirit. Tragically he was stopped at age 52 by prostate cancer because he wasn’t proactive about his health. Yet, at the end of his life he was able to say that he had nothing left on his bucket list—except to be the world’s greatest grandfather. Entrepreneurs can live large, but they also need to live long. Because in life, length matters. Jennifer speaks to entrepreneurs and their spouses as she entertains, educates, and saves lives by sharing Phil’s story and emphasizing the importance of being proactive about health. Treat your health the way you treat your businesses, do the due diligence of getting checked, add years to your life, and leave a profound legacy!